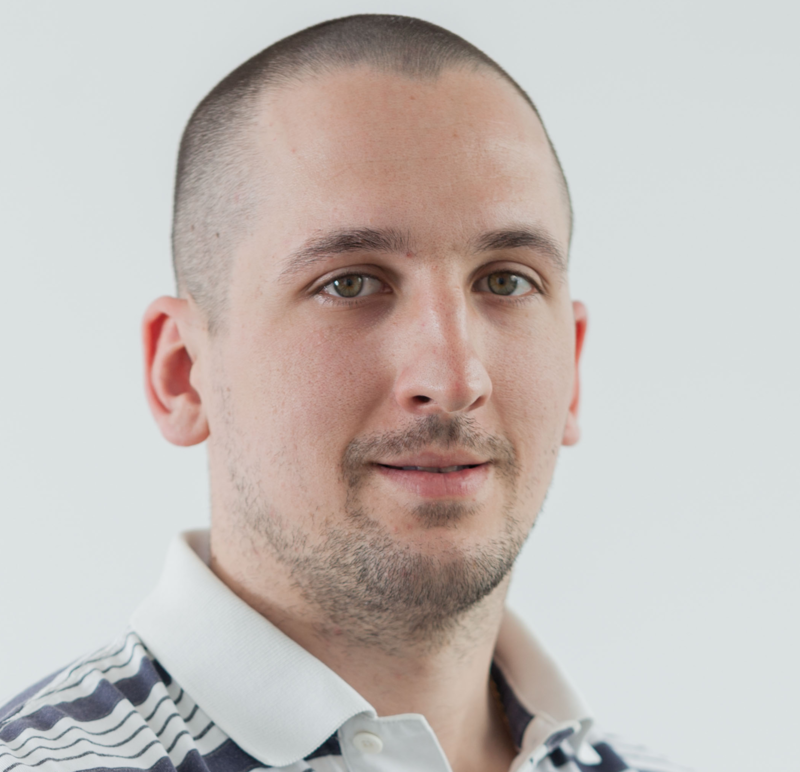 How to create approval workflow? I creating a requisition form that needs user/requester to fill up n must get approval from higher level for IT Guy to proceed. 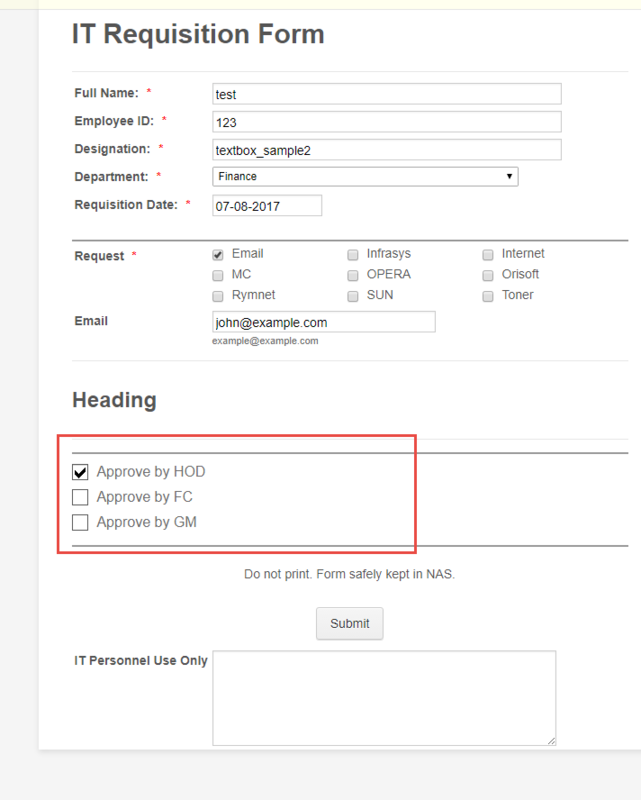 Form will fill up by User >> Approve by Head of Department (HOD) >> Approve by Financial Controller (FC) >> Approve by General Manager (GM) >> Goes to IT Guy to proceed the request. How to do this? Or you have any other ideas to manipulate this matter? I tried by using 'CONDITIONS' but with the flow they will received multiple email. 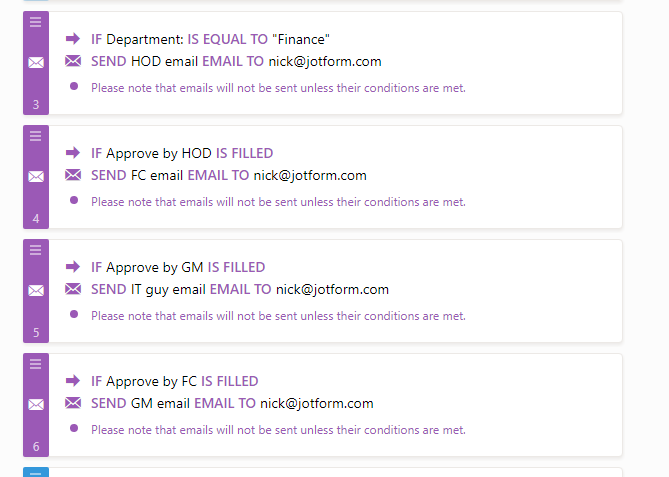 Myself=4 notification email, HOD=3 notification email, FC=2 notification email, GM=1 notification email. That's a lot plus they all can edit the form. What i want just a click of approve from them once. Could this workflow work for you? 1.1. Quantity of email received is a lot. See table below. Note: Previous data given is wrong. 1.2. This happen because of CONDITION setting is run every time edit was submit. * I want each person only received ONE time only. Pls help. 2.1. Each person to approve can see and tick/untick others 'field'. The user also can tick. Below suggestion only applicable for 1st editing that was the user. 'Approve by' can be in any way. Tick as current form. Signature is NOT applicable because user are using laptop. The email is being sent multiple times since you are using the email for all. 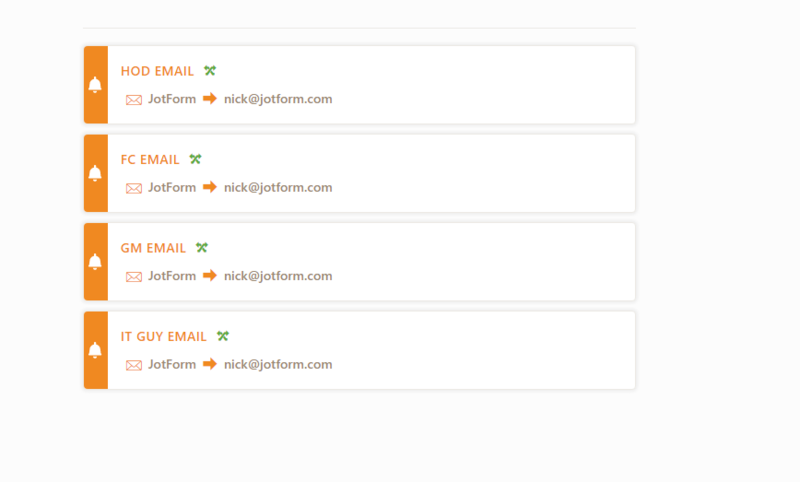 Each time the Approval check box is checked making the condition true and so it is sending multiple emails. You may consider using setting up separate notifications for different departments. 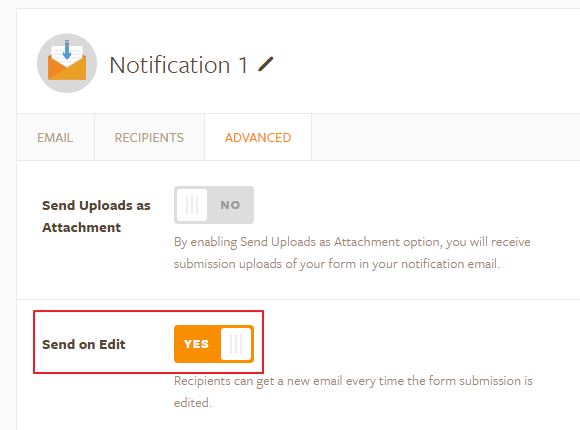 Also, make sure that Send on Edit option in the email notifications are disabled so that they will not be sent multiple times. You may also check the workflow process as mentioned in the guide below which is little different. Please get back to us if you need any further assistance. We will be happy to help.